Workers of the Dootriah, Kalej Valley and Peshok tea gardens will not be getting relief anytime soon even as they enter the 18th day of their agitation demanding clearance of dues and reopening of the three estates. The workers have refused to go to work and are on a relay hunger strike since June 16. There is no official notification but the three gardens are on “undeclared closure”. 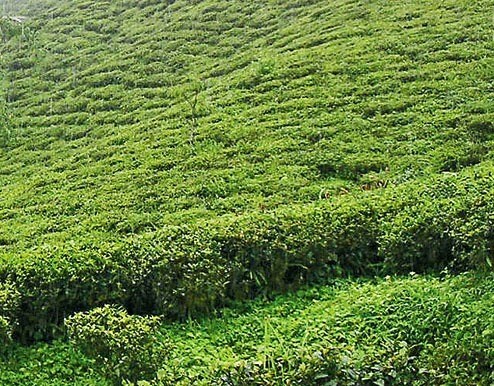 The Darjeeling Terai Dooars Plantation Labour Union (DTDPLU), which is spearheading the workers’ agitation, has decided to spruce up the movement given the reluctance of the management of the three gardens to come to the table for negotiation and talks. “We have been staging the relay hunger strike since the past 18 days but have yet to get any communication from the owner or the management,” said Suraj Subba, general secretary of the DTDPLU, which is affiliated to the Gorkha Janmukti Morcha. The three tea gardens under the Alchemist group is owned by K.D. Singh, a TMC MP, and dues have accumulated to the tune of Rs10 crore towards workers’ provident fund, gratuity, salary and wages and other fringe benefits since July of last year. “We have tried talking to the owner as well as the management through the district administration to sort out the issue through meetings. But they have refused to attend any of the meetings. Under such circumstances, we have been left with no options but to intensify our agitation,” Subba said. The trade union has threatened to stage road blockades in various stretches of National Highway 55 and near the tea garden areas. “We will declare the dates of our new agitation later,” said Subba. The Dootriah, Kalej Valley and Peshok gardens have a combined workforce of 2,598 workers. GJM general secretary Roshan Giri today said he met the owner of the Alchemist group in Delhi on Sunday and discussed the issue. “I met Singh in Delhi and talked to him about the problems being faced by the workers of the three tea gardens. The talk went well and we can expect positive results soon,” he said over the phone from Kolkata. The GJM trade union is also agitating for workers’ dues of Jogmaya and Panighatta tea gardens in Kurseong and Mirik, respectively. The management of Jogmaya tea estate is yet to pay Rs45 lakh due to the workers, while Panighatta has a pending amount of more than Rs2 crore in PF, gratuity, wages and salary. Workers of the Dootriah, Kalej Valley and Peshok tea gardens will not be getting relief anytime soon even as they enter the 18th day of their agitation demanding clearance of dues and reopening of the three estates.